Last year, as I prepped for a trip to Seattle, I wrote about one of my all-time favorite apps, Numberland by Les Trois Elles. It was not an app that I was asked to review, or given for free. I found it through a great aggregator called “Moms With Apps” and gave it a try. I loved it so much that I reviewed it, and then contacted the company to tell them how much I appreciated such a smart, interactive, and highly layered app for learning. 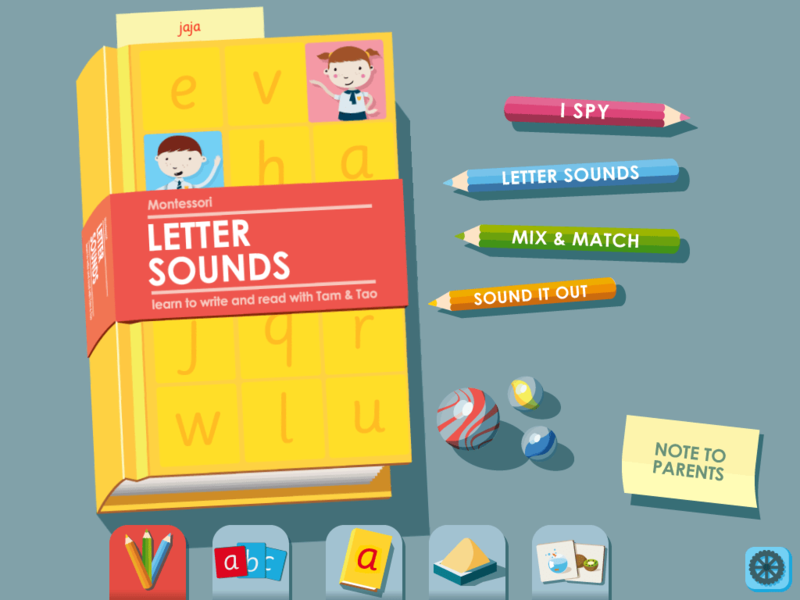 So I was very pleased when they contacted me and sent me a free copy of their latest app, Montessori Letter Sounds , for review. 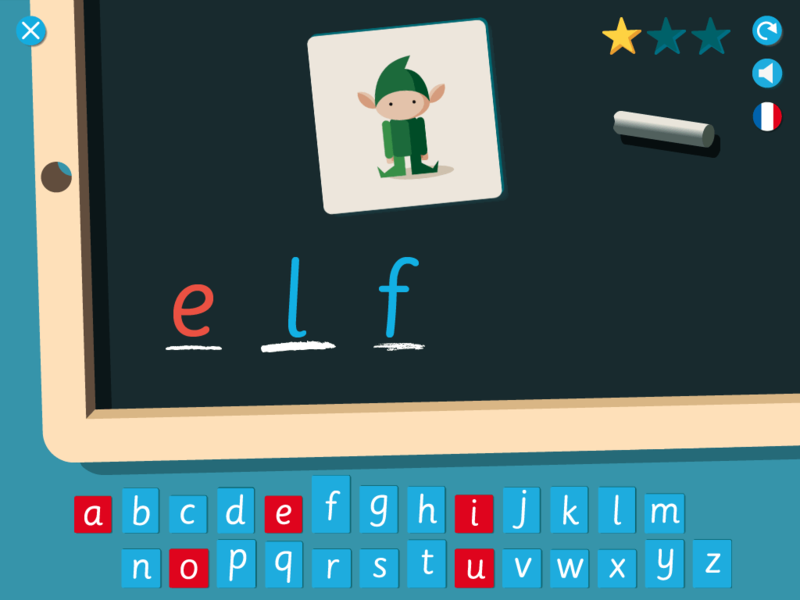 Once again, Les Trois Elles has come up with another charming, super interactive, and multi-level app to engage toddlers getting ready for school. Here we are again with Tam and Tao, but this time we’re working on our ABC’s — recognizing them, listening to the sounds they make, tracing them against a template, and ultimately drawing them on our own. And we move along and up from there. This is what I love the most about Les Trois Elles: a great deal of care has gone into the layering of their games, so the app grows with the child. Sometimes I buy apps for Vivienne, who is almost 3 years old, to play with, and they’re just so … disposable — fun for a little while, but then she moves on, like she’s eaten a piece of candy. Les Trois Elles delivers years of fun, and gorgeous graphics to boot. After this comes identifying the letters that match the sounds you hear at the beginning of certain words. Children have to match them to the picture shown. And this leads to the next step, which is breaking down all the sounds within a word and putting it together. Yay! Internal rhyme can’t be far behind! And suddenly, you realize the building blocks of reading have magically come together. Numberland was pretty pricey for an app at $4.99. That’s why it was such a big deal that I took a chance on it, and also why it was such a delight to find it was worth every penny. Montessori Letter Sounds is currently priced in the US iTunes store at $2.99, which is a bargain for something this multi-faceted. And the folks at Les Trois Elles have been kind enough to lower the price to $1.99 this week as a thank you to GeekMom readers!